Collosorbo's 35 hectares of south-facing vineyards lie directly across the road from Ciacci Piccolomini, between Sant'Angelo in Colle and Castelnuovo dell'Abate. The estate, which totals 180 hectares of mainly woodlands, olive groves, wheatfields, and pasture, is bordered to the south by the Orcia river, and to the east by Monte Amiata. The family acquired their holdings over many years until 1995 when the estate was split among different parts of the family and Collosorbo (originally part of the Tenuta di Sesta estate) was born! Collosorbo's estate vineyards combine three of the region's soil types: red clay, gray 'galestro', and sandy limestone – a very rare occurrence in Montalcino. Vineyard practices at the estate are meticulous, with the object of attaining the healthiest and most mature grapes possible, so that a minimalist approach can be employed in the cellar. Grapes are harvested by hand into small crates, and are then lightly crushed and fermented with indigenous yeasts in stainless steel. All of Collosorbo's wines are matured in neutral oak foudres, allowing a slow maturation in the family's cool cellar, built by hand beneath the walls of the estate's ancient castle. 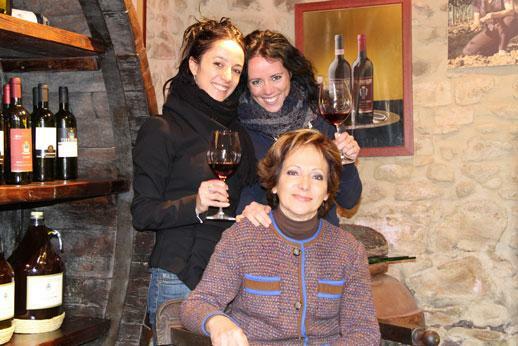 At the helm of the estate is a power trio of three passionate and knowledgeable women: owner, Giovanna Ciacci and her daughters: winemaker-oenologist, Laura Sutera Sardo, and agronomist and marketing manager, Lucia Sutera Sardo.